Sean Mulryan’s Ballymore Group continues to push the design agenda. Having completed 2,000 homes in London in 2016, with 7,000 more under construction, the firm has become one of the city’s best-known housebuilders. Its design-led ethos has resulted in projects such as its proposed glass-bottomed sky pool suspended between two 10-storey apartment blocks in London’s Embassy Gardens. This year, it has established a pop-up art gallery at its London City Island scheme with curators and gallerists working with east London artists to transform the development into an arts and cultural destination. These partnerships introduce the company to new creative talent and its website reflects this approach, looking and reading more like a design zine than that of a traditional building firm. Still led by hands-on Mulryan, the Roscommon man who oversees the final finish on every showhouse, Ballymore has invested in an in-house team of 20 experts to help create the look and feel of each new development. Dubbed the DesignCube, architects, interior designers, engineers, graphic designers and computer-aided design designers collaborate to deliver a polished product. The firm recently added a colour specialist to the team who, up until recently, worked in the fashion industry, to better help them forecast trends for their residential schemes. Here, Ballymore builds houses rather than apartments and while business is nowhere at the volume it is at in the United Kingdom, the builder currently has three housing schemes on the go. Launching this Saturday is St Marnock’s Bay, a development of 101 homes that sees Ballymore return to the north Co Dublin coastal village of Portmarnock where it launched Drumnigh Wood in 2002. Situated on the opposite side of Station Road, within a five-minute walk of the Dart station, phase one of the new development comprises 33 three and four-bedroom houses. There are five different styles all named after meadow plants. In the semi-detached style there are 12 of the Sorrel, a three-bedroom, 108sq m (1,163sq ft) property priced from €450,000. There are nine of the Thistle, a two-storey, four-bedroom house measuring 130sq m (1,400sq ft) with prices from €515,000. 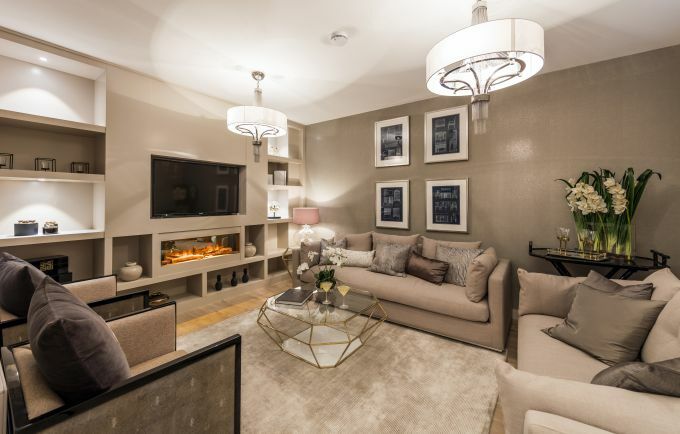 The Poppy is a larger four-bed style, measuring 167sq m (1793sq ft) in size and starts from €630,000. There are five detached properties; four of the Clover, a three-bedroom house, measuring 119sq m (1,280sq ft) in size, priced from €500,000 and one Buttercup, a four-bedroom house of 169sq m (1,819sq ft) and priced €665,000. The new homes are for sale through joint agents Savills and O’Farrell Cleere. Meanwhile, at its Piper’s Hill scheme in Naas, Co Kildare, phase two is under way. Launched last September, houses cost from €330,00 for a three-bed semi to €595,000 for a detached five-bed house. Next week also sees the launch of phase two at Royal Canal Park at Ashtown in Dublin 15. A new train station later this year will put this development of three- and four-bedroom homes within a 25-minute journey of Connolly Station. A year ago the prices here ranged from €315,000 for a three-bed to €385,000 for a four-bed house.